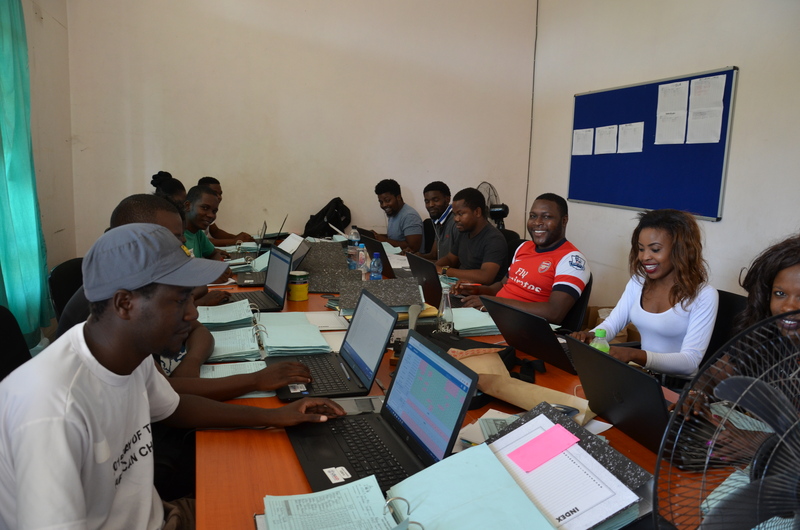 PMI VectorLink Malawi data clerks clean data from the 2018 IRS campaign to ensure there are no discrepancies. The VectorLink Collect DHIS 2 system directs data entry clerks to the source of data errors through programmed validation conditions. Standardized, reliable health information data is critical to mapping and responding to disease outbreaks, improving disease surveillance, monitoring patient health, and planning targeted health interventions, such as indoor residual spraying (IRS) and distribution of insecticide-treated nets for malaria prevention. District Health Information Software 2 (DHIS 2), a free and open source, cloud-based data management platform, has emerged as a globally-accepted standard for health management information systems in low- and middle-income countries and is being used by more than 60 countries and 23 organizations for management and reporting of data. The DHIS 2 software has robust data quality controls and dynamic visualizations to provide end-users with near real-time access to customized information products for decision-making. 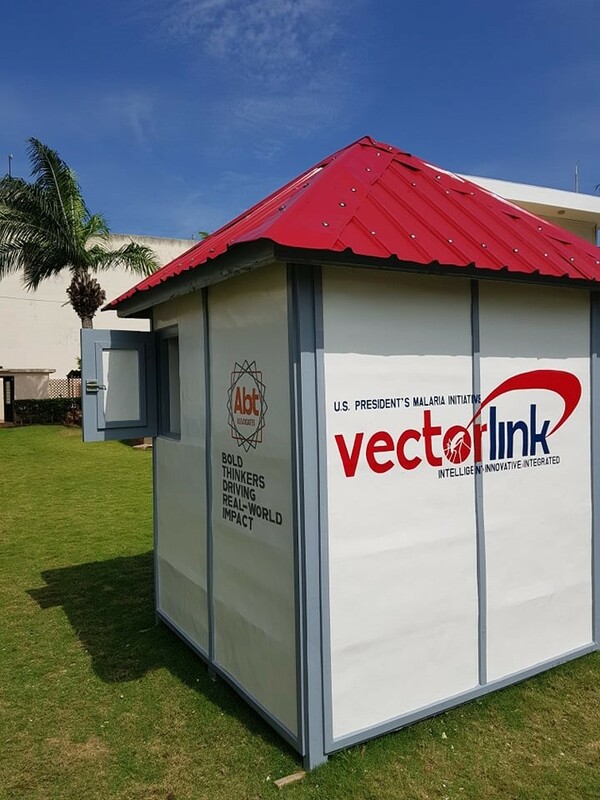 In 2018, the U.S. President’s Malaria Initiative (PMI) VectorLink Project, through its partner BAO Systems, designed a global, DHIS 2-based data management system to support routine IRS data needs across PMI VectorLink countries. From community mobilization activities to spray team performance, PMI VectorLink’s new system, VectorLink Collect, allows for near real-time program monitoring, quality assurance, and analysis through a variety of core DHIS 2 visualization functionalities. Built to mimic social media posts, allowing for comments and “likes”, the VectorLink Collect DHIS 2 dashboards enable the project to share tailored analytic objects targeted to end-users’ interests, track comment threads in support of real-time data dialogue, and display data in different ways to monitor the progress of an IRS campaign. The project will have all its IRS countries using the same global DHIS 2 database for data entry and data visualization. In 2018, the project rolled out the use of the platform in Malawi, Zambia, Tanzania, and Kenya. In 2019, PMI VectorLink will bring seven additional countries onto the system and by 2020, all PMI VectorLink countries implementing IRS will be using the VectorLink Collect DHIS 2 system for IRS data. The VectorLink team is currently developing an entomological surveillance module for the DHIS 2 system, including insecticide resistance and susceptibility testing data, to provide a “one-stop data shop” for vector control decision-making. PMI VectorLink is the first project to have a functional offline, desktop application that syncs with the DHIS 2 server. This means that the reach of the database can be expanded to remote areas with poor connectivity. PMI VectorLink provides training on maintaining and managing the database. 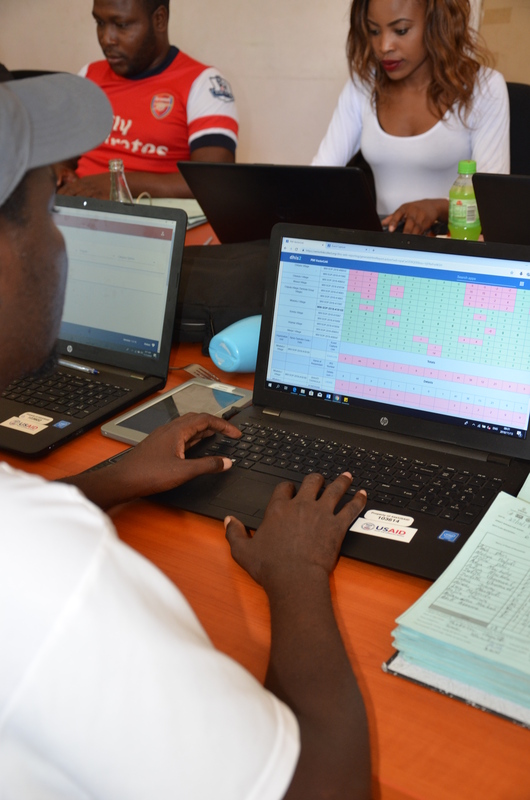 To date, the project has trained 254 data entry clerks on basic data entry using DHIS 2 and the country and home office M&E teams are thoroughly trained on the system. The success of the new capacity is already being recognized, and the project plans to hold trainings with in-country government stakeholders to ensure government ownership of spray data for decision-making. Because all of the PMI-focus countries have some version of a DHIS 2-based system working in their countries, the project is increasing country capacity to manage the core software and improve the monitoring and management of targeted health interventions. In doing so, PMI VectorLink is equipping countries to eventually adopt the system for their own government-led IRS campaigns, if desired. Jules Nahimana is a self-proclaimed workaholic. 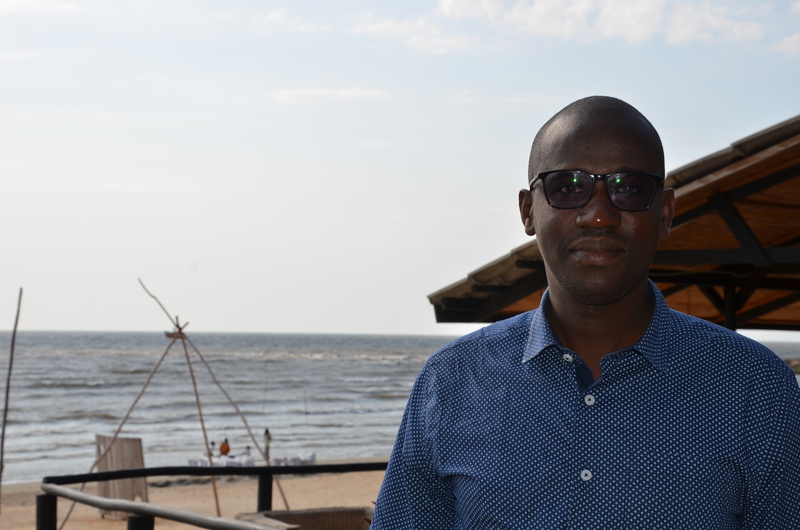 As Operations Manager for the U.S. President’s Malaria Initiative (PMI) VectorLink Project in Malawi, Nahimana said he inherited his work ethic from his mom. Growing up in Rwanda’s Western Province on the border of DRC in Rusizi District, Nahimana’s home was 100 meters from the school where his uncle was headmaster. With a Master’s in Public Health from the National University of Rwanda, a Master’s in Project Management from Jommo Kenyatta University of Agriculture and Technology in Kenya, and a Bachelor in Education and Psychology from the Adventist University of Central Africa, Nahimana took his mom’s wishes to heart and then brought that dedication to his work. During PMI VectorLink Malawi’s 32-day spray campaign in Nkhotakota District from October 2nd – November 7th 2018, Nahimana often started his work days at 4:30 a.m. and didn’t finish until late at night. The hard work paid off as the project sprayed 112,264 structures, protecting 501,324 people including 11,066 pregnant women and 90,953 children under five in one of highest malaria-burden districts in the country. Recently, Nahimana carved out time in the early morning before work to talk about his role with PMI VectorLink. Jules Nahimana leads the spray team on the launch of the IRS campaign. Can you tell us about your work in malaria prevention? I started working with the PMI-funded IRS Project in Rwanda in 2010 as the M&E Specialist and in 2011 was hired as the M&E Manager. In 2014, I was promoted to Operations Manager and was in that role from 2014-2017. I also supported the PMI-funded IRS project in Mozambique for two months in 2015 in logistics and operations management. Before becoming Operations Manager in Malawi, I also supported the start-up for PMI VectorLink Burkina Faso. This job is a big position. It’s lot more than operations. It’s planning and logistics, decision-making and setting direction for the project. If you don’t plan well it will affect implementation. For instance, we have to plan according to how far the structures are away from each other. In Malawi, they are much more scattered than in Rwanda, so we had to adjust our start time with workers leaving very early – by 5:30 or 6 a.m. Fortunately, government stakeholders are always supportive. What motivates you to work so hard? I think it started with my education. It also comes with experience. People need to see a change and it pushes you to work hard. There are also expectations from the government. They want to see a change. Malaria is a big issue in this district. We needed to show the impact. In Rwanda, we saw an impact every year after we sprayed. Malaria was reduced drastically. Protecting the community is a motivation on its own. You also served as the Gender Focal Point for the PMI-funded IRS project in Rwanda. How did you draw on that experience in Malawi? As the Gender Focal Point in Rwanda, I ensured that the project was gender inclusive, and thus had to fight against norms and attitudes that IRS is a job only for men. We were sure to give equal chance to both men and women. In Rwanda, there’s a big representation of women as Community Health Workers so we had some advantage. When I came to Malawi, we set ground rules to ensure women were given equal opportunity. We strongly encouraged women to apply and gave equal chances to both women and men. As a result, 40 percent of the 2018 seasonal workers were women. NMCP, Nkhotakota District Health Office, and Nkhotakota District Council were part of the recruitment so they played a big role. How do you encourage and motivate women in their roles when they face gender bias? First of all, we need to ensure sexual harassment guidelines are posted at each operation site. We trained all seasonal workers on gender issues. Also, during spray operations and morning assemblies gender was part of the messages that were being communicated to seasonal workers through job aid messages. What is your hope for the project? Malaria is the leading cause of morbidity and mortality in Nkhotakota district. From my experience in Rwanda, I expect us to see a big reduction of malaria after spraying communities. We should continue spraying Nkhotakota district to keep the burden low. We also need to cover more than one district since malaria is a big threat in Malawi. My dream is to make sure I succeed in what I’m doing and make sure seasonal workers enjoy their jobs and that we see a change in the community. What do you wish people knew about the project? People should really know about the impact and the importance of spraying communities. This is an intervention that is generously funded by the U.S. government at no cost to the community. We are using very effective insecticides and we are there to protect them. We want their cooperation. 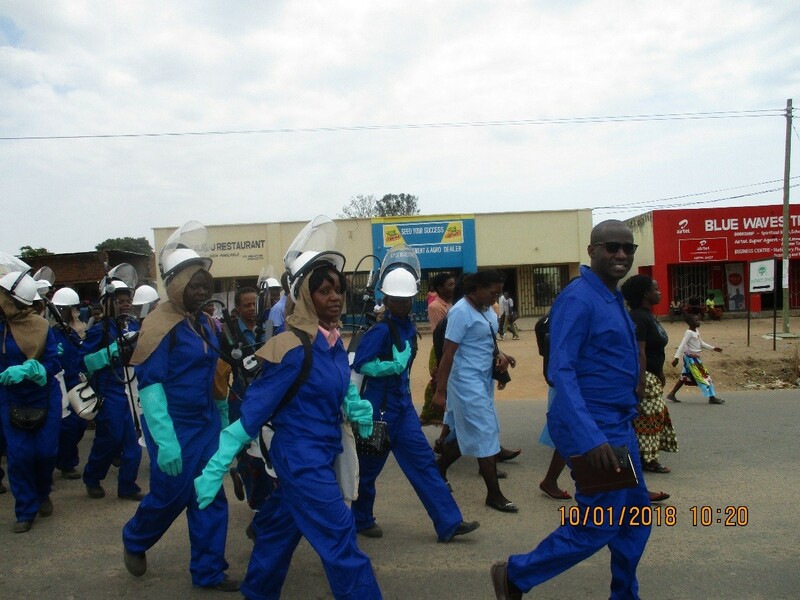 Do you think Nkhotakota District will ever be malaria-free? It’s possible. If we spray, and do that effectively, it’s possible. In the Southeast African country of Malawi, you would be hard put to meet someone who hasn’t contracted malaria in recent years. In 2017, more than 3,650 Malawians died from the vector-borne disease. 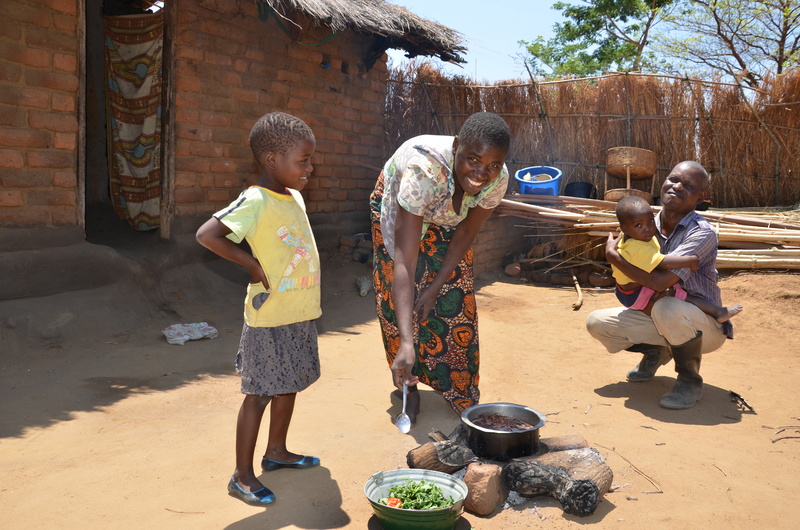 Malawi’s Nkhotakota District, situated along the banks of Lake Malawi – one of the African Great Lakes – has one of the highest rates of malaria in the country. According to Dr. Sosten Lankhulani, the Ministry of Health’s Nkhotakota District Health Officer, 45-50% of hospital admissions are due to malaria. 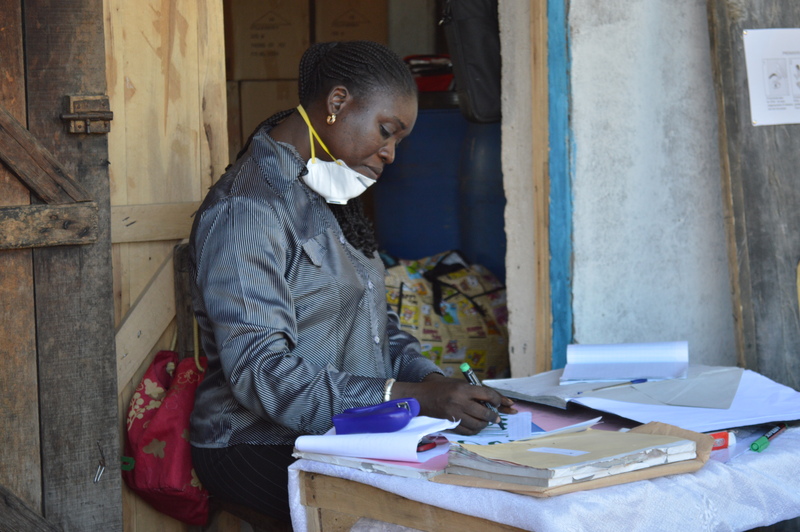 Recently, the U.S. President’s Malaria Initiative (PMI) conducted an indoor residual spraying (IRS) campaign through the PMI VectorLink Project to reduce the burden of malaria. IRS uses an insecticide that kills the mosquitoes that transmit the disease. PMI VectorLink successfully sprayed 112,264 structures during a 32-day campaign, protecting 501,324 people including 11,066 pregnant women and 90,953 children under five. The costs associated with malaria go beyond medicine, hospitalization and transportation to the hospital. 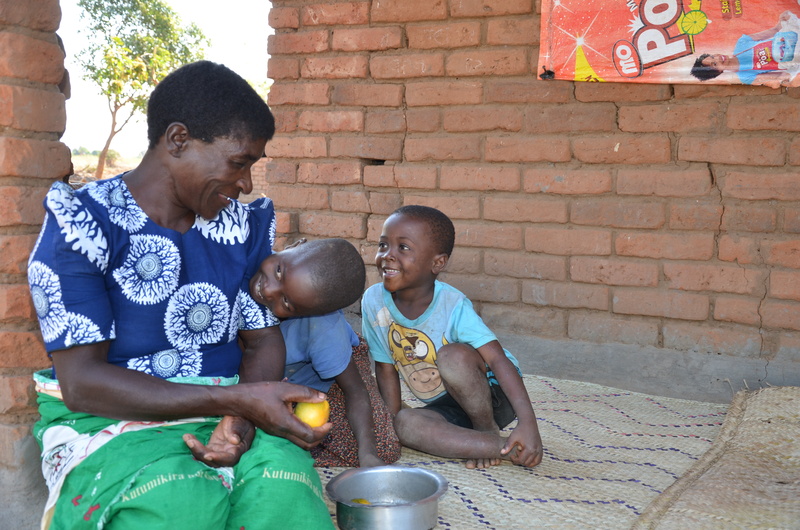 A reduction in malaria will translate into healthier, more productive lives for Malawians. PMI VectorLink sprayed 126,961 homes in Kongoussi, exceeding the MOH and NMCP targets and protecting 365,430 people from malaria. Malaria remains a major public health issue in Burkina Faso as it is endemic throughout the country. Eighty percent of the estimated 19 million residents of Burkina Faso live in rural areas, where they are at greater risk of poor health compared to urban communities. To reduce the burden of malaria in the country and enhance vector control, the U.S. President’s Malaria Initiative (PMI) VectorLink Project implements indoor residual spraying (IRS), which kills mosquitoes that transmit malaria by spraying insecticide on the walls and ceilings where mosquitoes prefer to rest. PMI VectorLink serves three major health districts in Burkina Faso, including Kongoussi – the country’s largest district. Kongoussi is surrounded by swamps and lakes that provide optimal larval breeding sites for malaria carrying mosquitoes. Residents have long-suffered from mosquitoes’ nighttime feeding patterns so much so that they have named the district Kongoussi, which translates to “village that cannot sleep” from its original name, Bito. Mosquitoes enter homes late at night to feed on human hosts; their uncomfortable bites and the noise of their buzzing often wake residents and prevent them from getting a good night’s rest. Malaria prevention and control activities are guided by a National Malaria Control Strategy, which supports the long-term vision of eliminating malaria in Burkina Faso by 2030. 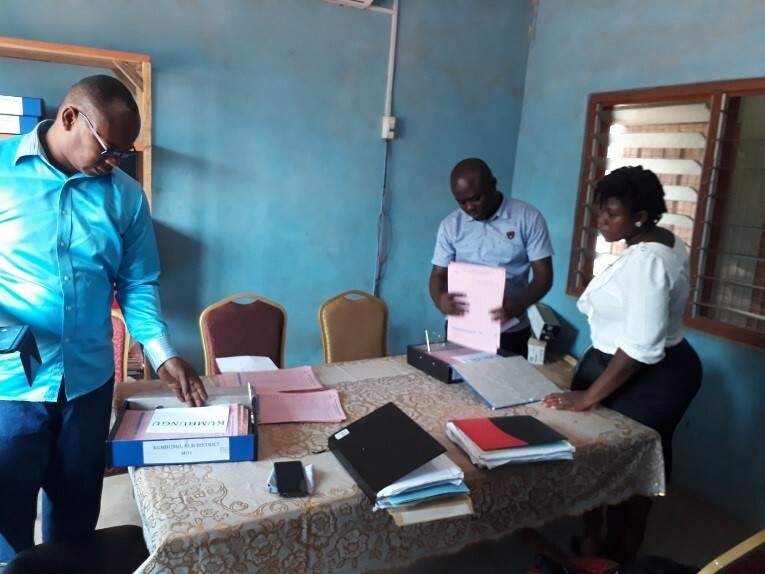 The PMI VectorLink Project in Burkina Faso is working with the Ministry of Health (MOH), the National Malaria Control Program (NMCP), and other stakeholders to achieve at least 85% spray coverage in the IRS targeted districts. When it was announced that PMI VectorLink would conduct IRS in Kongoussi, local authorities were enthusiastic and hopeful for Kongoussi’s sleepless population. When spray operators arrived in the village at the start of the 30-day spray campaign, they were eagerly welcomed by residents of the community. After having their houses treated, beneficiaries proclaimed their first peaceful night’s sleep, free from the discomfort and nuisance of mosquitoes. Some people who had previously refused IRS treatment reportedly came running after spray operators asking them to please go back and treat their homes after hearing of success from their neighbors. In Kongoussi, overall mortality of malaria-carrying mosquitoes 24 hours after spraying in houses treated was 100%, indicating that the insecticide used (Actellic 300 CS) was highly effective and spray quality was good. PMI VectorLink sprayed 126,961 homes in Kongoussi, covering 90% of the district, exceeding the MOH and NMCP goal. The IRS campaign protected 365,430 people, including 61,180 children under the age of five and 6,664 pregnant women in the once weary district. 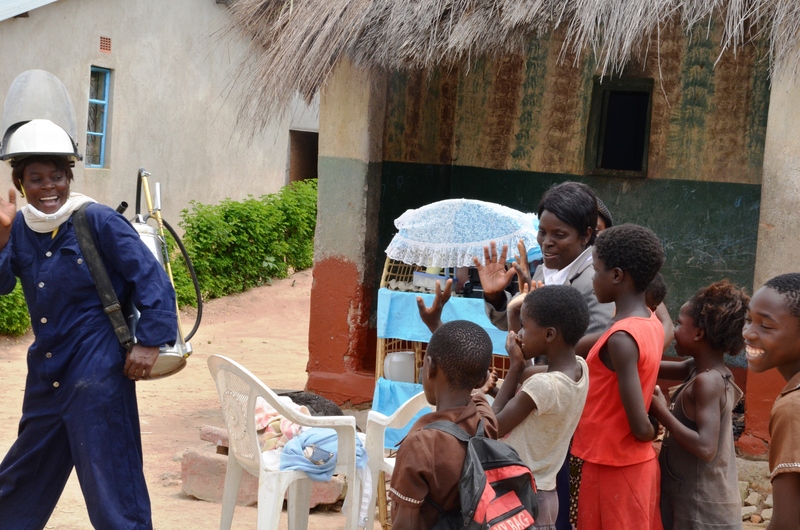 For the past ten years, the U.S. President’s Malaria Initiative (PMI) has implemented key vector control interventions in Benin to reduce malaria-related morbidity and mortality. Working in partnership with local governments and the National Malaria Control Program (NMCP), the PMI VectorLink Project conducts indoor residual spraying (IRS) to kill malaria-carrying mosquitoes. IRS involves spraying insecticide on the walls, ceilings and indoor surfaces where the mosquitoes rest. Since PMI began conducting IRS in Benin and with the improvement of health services, the Government of Benin has seen a downtrend of morbidity and mortality from malaria. The cardboard boxes used to transport insecticide bottles are recycled into new materials, such as planks of wood that can be used to build the guard house shown here. Large-scale IRS operations involve transporting millions of bottles of insecticide and materials via cardboard boxes. To ensure materials are safely disposed, PMI follows strict environmental best practices that adhere to both local Beninese and U.S. Government environmental protection guidelines. In Benin, PMI VectorLink took additional measures to reduce the negative impact on the environment, introducing new ways to reduce and repurpose packaging waste. At the end of the most recent 2018 IRS campaign, PMI VectorLink Benin, in collaboration with local NGO, GAMAF s.a.r.l, (Germain Amadji & Fils), collected and repurposed 6,337 empty cardboard boxes into sheets of material for other innovative uses. Empty cardboard shipment boxes that once stored insecticide are stripped of plastic labels, shredded into small pieces and then grinded into a paste. The paste is mixed with a binder, composed of glue and dyes, and then molded into planks of material for construction, partition rooms, ceilings, small furniture, manufacturing of art objects, etc. Through recycling the cardboard, 3,926 kg of biogenic carbon that is sequestered in the raw material of the cardboard is not being emitted into the atmosphere through incineration. In the West African country of Liberia, the entire population of ~4.85 million is at risk of contracting malaria. As the leading cause of hospitalization and in-patient deaths, malaria exacts a serious health and economic toll on the country. A comprehensive understanding of the mosquitoes that transmit malaria requires trained entomologists who can gather precise data on the composition of the vector species as well as information on mosquito densities, seasonality, geographical distribution, biting time and location, and insecticide resistance status. Such information is critical to inform evidence-based decisions for vector control interventions. 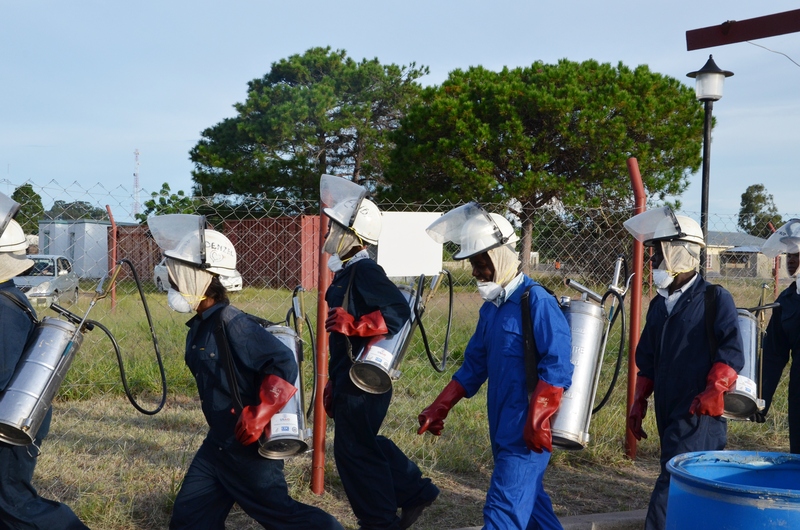 The U.S. President’s Malaria Initiative (PMI) VectorLink Project, building on gains achieved under the Africa Indoor Residual Spraying (AIRS) project, works with the Government of Liberia to improve the capacity of local entomologists. In collaboration with NMCP, PMI VectorLink conducts entomological monitoring in three sentinel sites in three counties: Montserrado, Margibi and Bong. Historically, Liberia has outsourced the laboratory analysis (including species identification and infection rates) of mosquito samples collected during entomological monitoring to other countries. 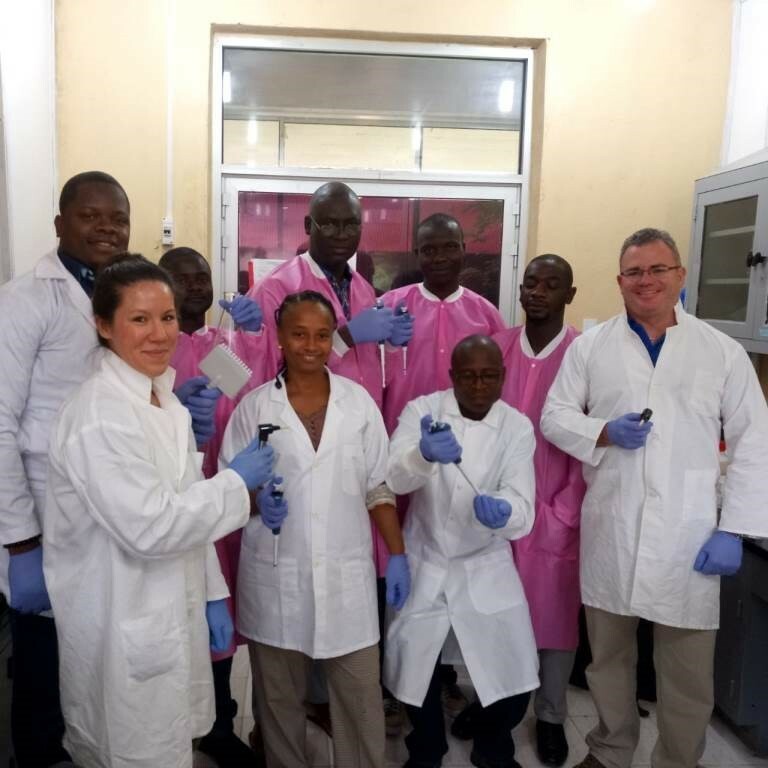 To improve the national entomological monitoring capacity, PMI VectorLink working together with Liberia’s National Malaria Control Program (NMCP) established a partnership in 2018 with the Liberian Institute for Biomedical Research (LIBR), the country’s main vector biology research laboratory. The LIBR has since become a part of the National Public Health Institute of Liberia (NPHIL). The PMI VectorLink Project and NMCP worked closely with LIBR to identify laboratory space at the institute for processing of mosquito samples, renovated the space and equipped it with a freezer, furniture, lab supplies and reagents for conducting analyses. 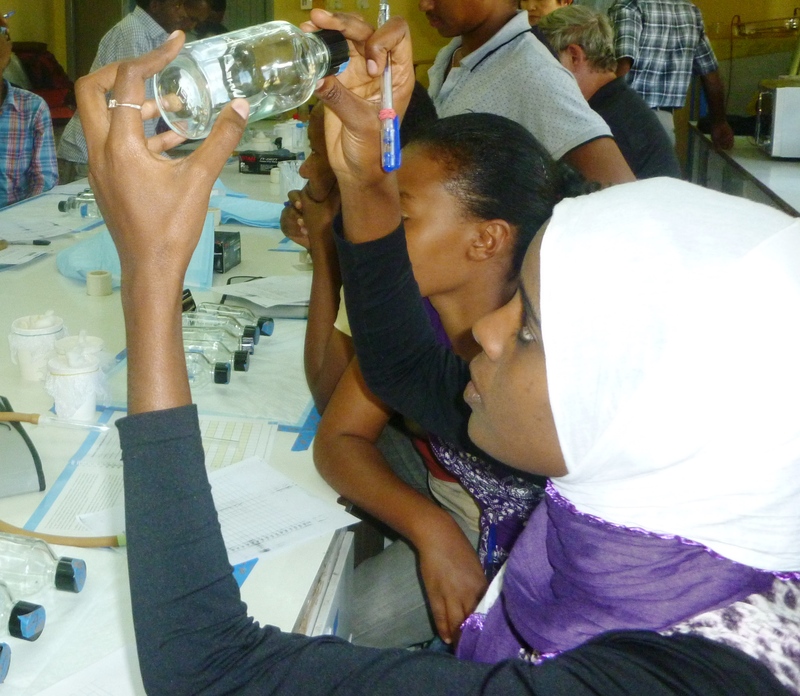 The PMI VectorLink Project hosted two trainers from the U.S. Centers for Disease Control and Prevention (CDC) Atlanta in April 2018 for a one-week training on laboratory techniques for detecting infectious mosquitoes. Six technicians (four from LIBR, two from NMCP) were trained on enzyme-linked immunosorbent assays (ELISAs) to assess the malaria sporozoite rate in mosquitoes collected during entomological monitoring. Following the training, NMCP and LIBR staff began analyzing the 11,000 mosquito samples that were collected and preserved from 2015 and 2016. For the first time, the team was able to identify infection status of Anopheles gambiae s.l., the primary malaria vector in Liberia, using ELISA techniques. Thirty percent of the samples have already been analyzed, and the remaining archived samples are expected to be completed by November 2018. The PMI VectorLink Project will continue to work closely with the NMCP and other local partners to expand the country’s entomological capacity, supporting further training on ELISA methods to determine mosquito blood meal source and polymerase chain reaction (PCR) techniques for identification mosquito species. Liberia’s increased laboratory capacity to analyze mosquito specimens will provide more data on status and trends of malaria vectors and better inform and guide the country’s efforts to prevent the spread of the disease. Malaria is a preventable and treatable disease transmitted by the female Anopheles mosquito. Alone, this mosquito poses a deadly threat to nearly half of the world’s population, but women and children in sub-Saharan Africa are most at risk. Carrying 80% of the global malaria burden, the region is most vulnerable to malaria-related illness and death. In addition to loss of life, malaria places an economic burden on African nations, costing an estimated US$12 billion a year. Despite the devastation the Anopheles mosquito has caused, investments made by host-country governments and international donors have helped protect millions of people from malaria. With support from The President’s Malaria Initiative (PMI), The PMI VectorLink Project continues the work of the PMI Africa Indoor Residual Spraying Project, protecting 20 million people a year from the deadly disease. Focusing our efforts in countries with the highest burden has allowed us to have the greatest impact. This World Mosquito Day, August 20, we reflect on the progress made in the fight against malaria and the strength of communities that are free of its burden. The PMI VectorLink Project employs a strong monitoring and evaluation (M&E) system to ensure high quality data, guiding and strengthening the operations of the PMI’s indoor residual spray campaigns. PMI VectorLink collects data from millions of people across 22 countries in Africa that provides evidence of our impact. 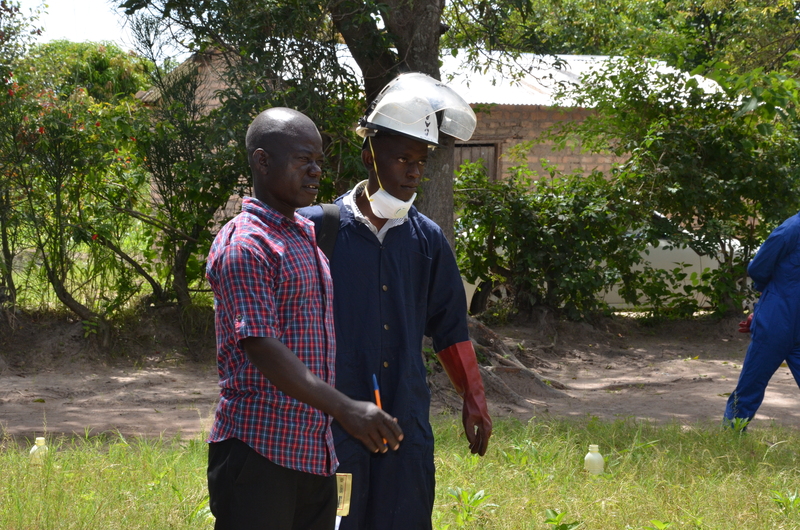 PMI VectorLink trains and supports district officials in supervising community spray campaigns. Our supervision checklists cover all the key aspects of spray operations, such as compliance to safety procedures, spray personnel conduct in the community, and insecticide application techniques. With 400-900 spray operators in the field during a single campaign, standard procedures are essential to ensuring success. Our job-aids help spray operators to achieve the highest level of standardization in operational performance. Fighting mosquitoes is hard yet rewarding work. Knowing that we are protecting 20 million people a year from malaria keeps us going! Support and participation from communities is vital for protecting the health of individuals and achieving indoor residual spray objectives. 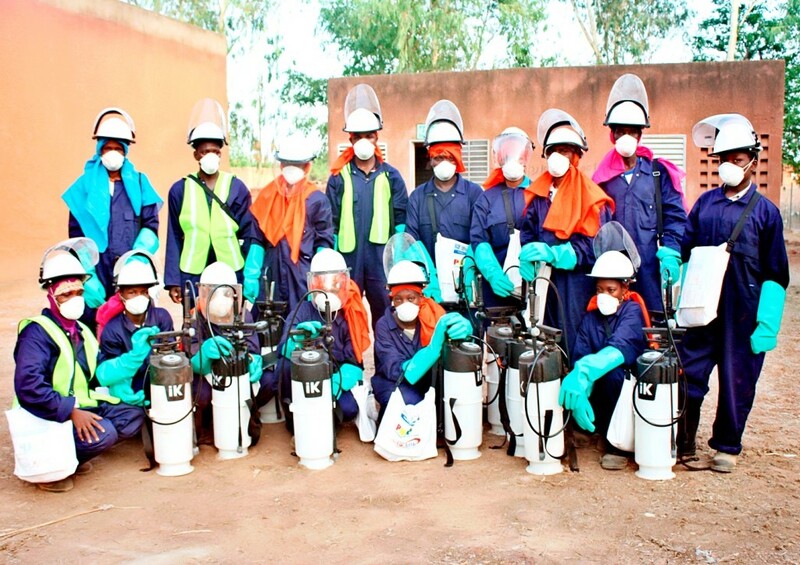 Establishing a community-wide understanding of IRS facilitates successful spray campaigns. Malaria disproportionately affects children under 5 years of age, who account for 78% of all deaths. Contracting a parasite from the Anopheles mosquito during pregnancy, particularly among new mothers, increases the risk of maternal mortality, and neonatal mortality. Protecting young children and mothers-to-be from malaria is one of PMI VectorLink’s top priorities. 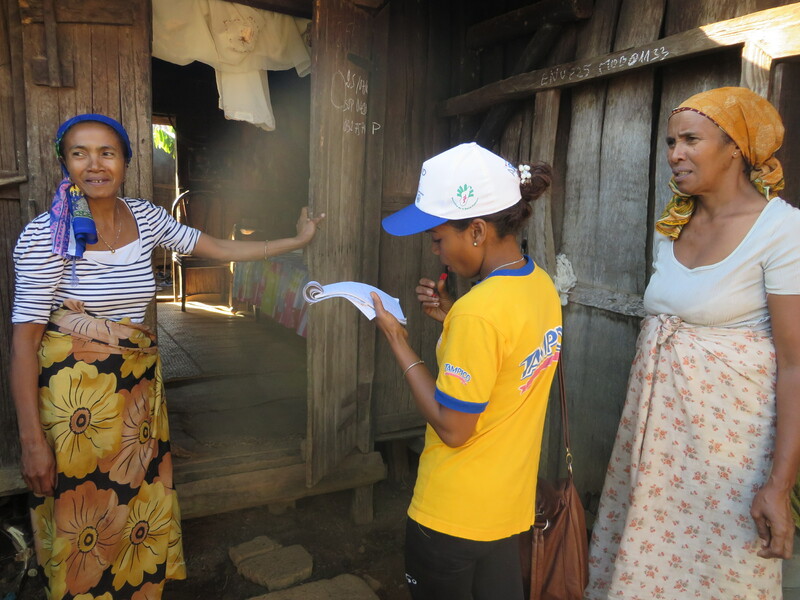 Before the start of a spray campaign, community mobilizers coordinate with community and religious leaders to provide information about the importance of indoor residual spray and how it helps protect families from deadly mosquitoes. This method allows effective and positive information about vector control to reach communities and dispel myths to increase the uptake in the service – which is always provided at no cost to the beneficiary. 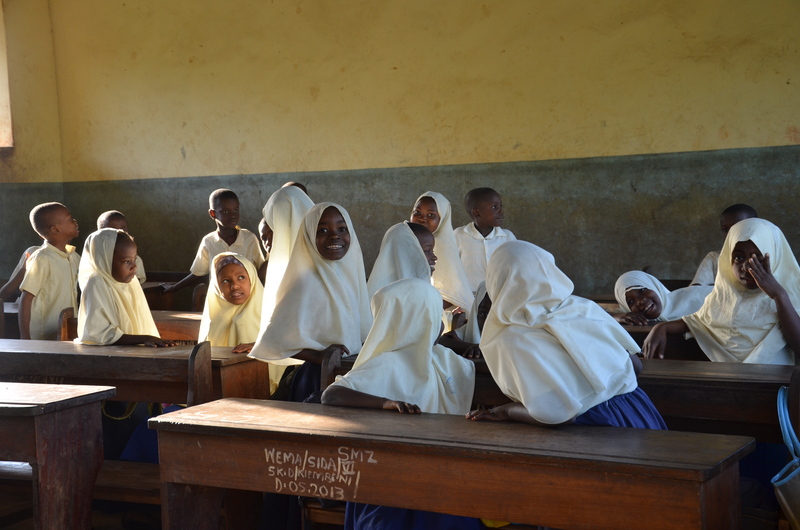 Keeping kids malaria-free means keeping them happy, healthy and in class! Malaria disproportionately affects children from poor communities as they rarely have access to quality care and preventative treatment. Malaria-related illnesses further prevent these children from continuing their education and growing to become strong and successful members of their community. 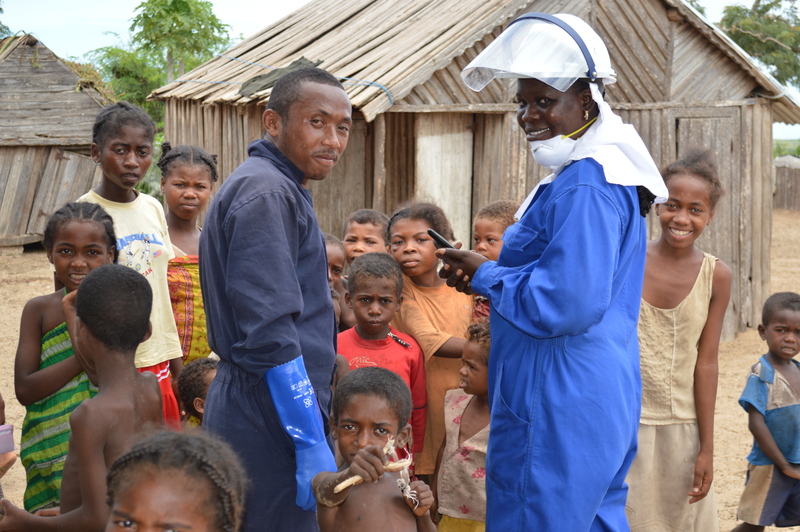 Our indoor residual spray operators often come from the communities in which they serve. Mobilizing the community and building relationships based on trust gets our beneficiaries involved and excited to do their part in preventing the spread of malaria. Our method of direct supervision ensures top quality results during our indoor residual spray campaigns. A team of dedicated spray operators is closely supervised by their Team Lead to help ensure the best coverage for each household. Entomological monitoring is crucial for helping us make evidence-based decisions on how best to kill malaria vector mosquitoes. Studying the Anopheles mosquito feeding, breeding, and biting habits helps us target and kill them to protect communities from disease. Indoor residual spraying helps ensure that everyone in the household is protected from the threat of malaria-ridden mosquitoes. 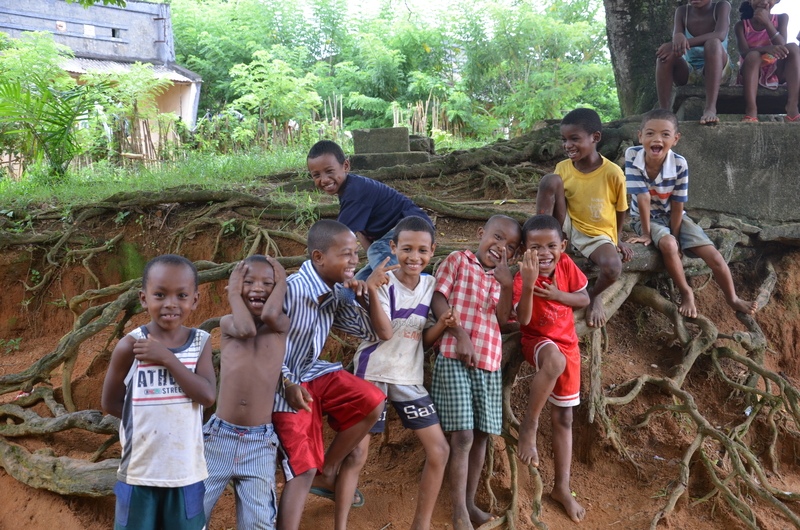 Malaria-free communities are happy communities! Malaria is an endemic disease in Ghana. This makes any effort which reduces malaria worth celebrating. Among the interventions used to help in the reduction of malaria is Indoor Residual Spraying (IRS). IRS involves spraying an insecticide on the ceilings and walls of homes, where the malaria-carrying mosquitoes rest after feeding. The insecticide kills the mosquitoes, preventing the further spread of the disease. The US President’s Malaria Initiative (PMI) directly supports IRS implementation in selected districts in the Northern Region of Ghana. Over the years, a number of studies and observations made by community leadership reflect the impact made by IRS in the society. A recent study published in the Malaria Journal [Coleman S. et al., Malar J (2017) 16:324] shows that IRS reduced malaria transmission in the districts studied as compared to the districts where IRS was withdrawn. 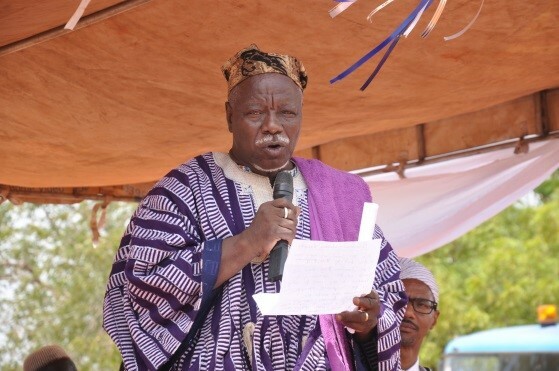 Mba Tarana, Second-in-Command to the Overlord of the Mamprugu Traditional Area and first Public Health Official in Ghana’s Northern Region, encourages the involvement of community leadership to ensure the successful spraying of communities in their Mamprugu Traditional Area. Another study conducted jointly by the World Health Organization (WHO) and the Ghana National Malaria Control Program [Aregawi et al. Malar J (2017) 16:177] corroborates these findings. In the study, the researchers reviewed all health records from 2005 to 2015. In districts where IRS was implemented, a significant reduction (47%) over a the ten-year period in the number of malaria cases, and a greater impact on key malaria indicators was observed as compared to non-IRS districts. Malaria admissions decreased by 68%, malaria deaths reduced by 88% and test positivity rate (TPR) reduced by 89%. In non-IRS regions, the reduction in malaria admissions was 35%, and malaria deaths and TPR decreased by only 44% and 38%, respectively. Traditional leader Mba Tarana said, “Since you [PMI IRS] began spraying our communities, we rarely see mothers rushing their children who have severe malaria and are convulsing to the hospital.” Community leaders such as Mba Tarana have contributed to the significant impact made by IRS through mobilization and monitoring of spraying in their towns and villages. 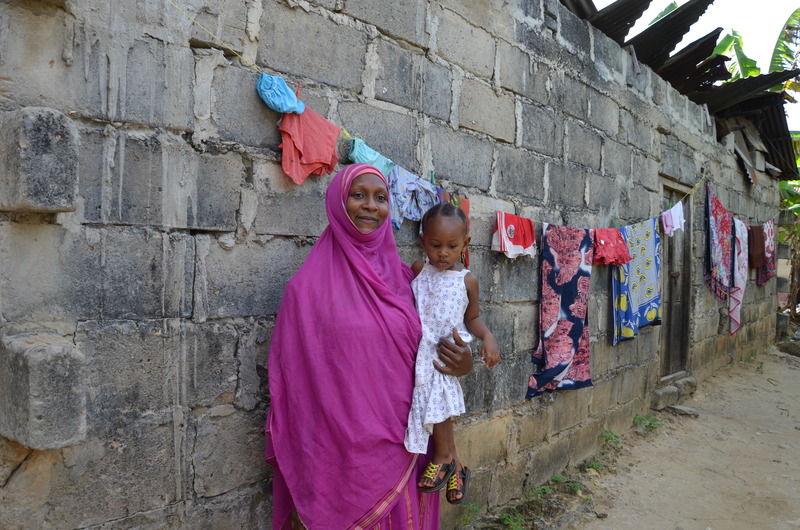 Their involvement in and support of IRS have been critical to the success of IRS as they encourage the full participation of all stakeholders, resulting in reduced prevalence of malaria and the improved health and livelihood of those living in the PMI-supported districts. 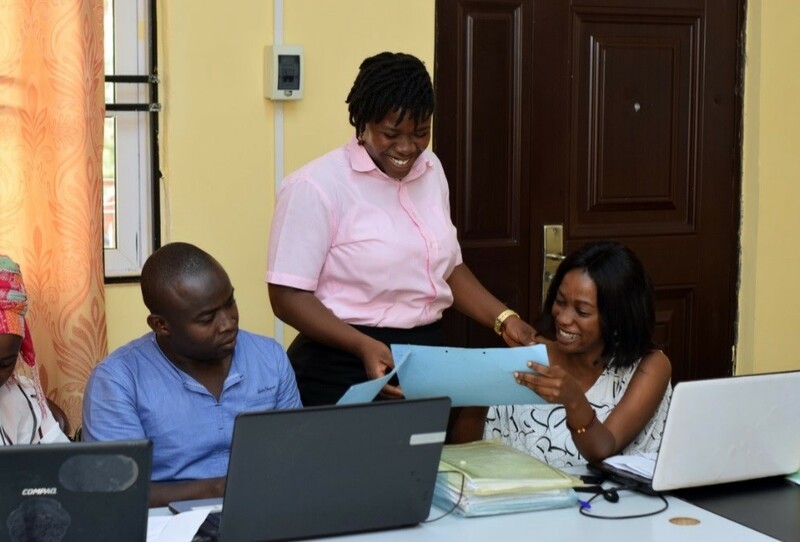 Peace Dellor began working on the PMI Africa Indoor Residual Spraying Project (AIRS) in 2015 as a Data Entry Clerk in Ghana. 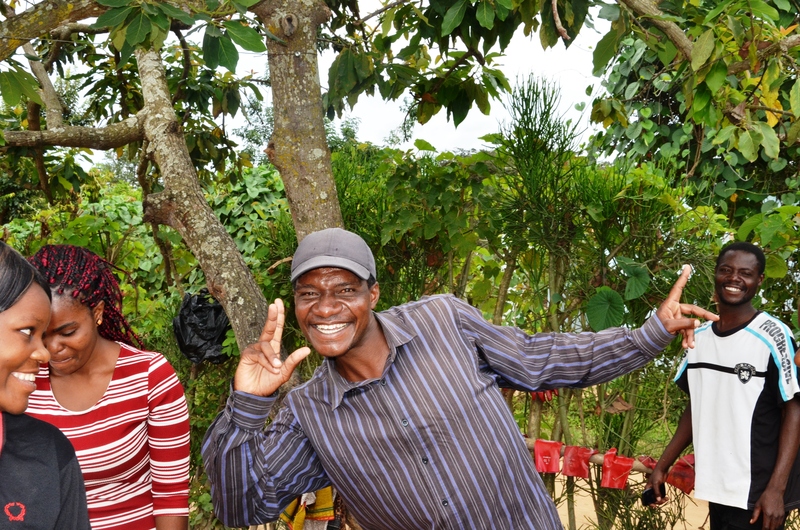 Due to her diligence and hard work she was promoted to be the Monitoring and Evaluation (M&E) Assistant for Kumbungu District, one of the seven districts targeted by PMI VectorLink, which followed after the AIRS Project ended in 2017. Peace, who comes from Keta in the Volta Region of southeastern Ghana, studied at the Intercom Programming and Manufacturing Company Limited in Tamale and holds a diploma in Database Technology. Dellor recently talked about her experience with malaria and her role on the PMI VectorLink Project. PMI VectorLink: Have you had any experience with malaria? Dellor: Yes, I remember when I was admitted to the hospital for days because I had malaria. This caused me to miss classes. It took me time to recover and go back to school to catch up with my colleagues. PMI VectorLink: What are your duties as the M&E Assistant for the Kumbungu District? Train Spray Operators on spray data recording at the district level. Supervise Data Entry Assistants to enter data on a daily basis. Verify data cards by using the error eliminator. Sample some compounds to verify spraying. Assist the District Operations Coordinator in planning. Supervise Spray Operators’ data recording in the field. For malaria prevention, I visit some of the difficult communities (that tend to refuse spraying) to talk to them about the benefits of the project. I go the extra mile in helping them to pack their belongings and get a Spray Operator to spray their rooms. PMI VectorLink: Do you think Ghana will ever be malaria free? Dellor: Yes, because if we can sustain the effort and also if we can be as resilient as the malaria parasite, we can make Ghana malaria free. PMI VectorLink: What has surprised you most about working with the PMI VectorLink Project? Dellor: I am always surprised about the energy and the zeal some workers and community members who understand the aim and benefits of the project apply to their work. PMI VectorLink: What do you find most challenging about your job? PMI VectorLink: How did the project address these issues? 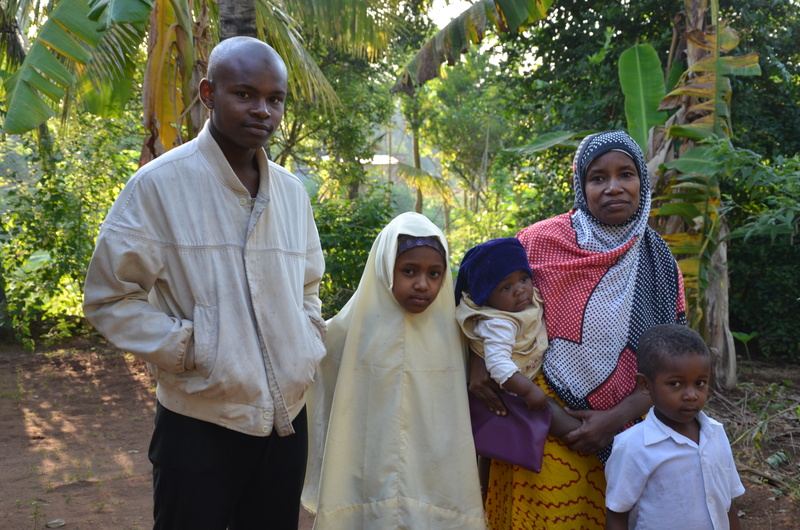 Dellor: The project provided a motorbike to enable me to carry out my duties. In dealing with the dialect problem, I was able to get other people in the area to help me to communicate and overcome the language barrier. To address misconceptions about the project, I used IRS messaging, such as the benefits and effectiveness of IRS, and worked with advocates of the project in the communities to help change false perceptions. PMI VectorLink: What impact has the entomological monitoring had on malaria in Ghana? Dellor: The entomological monitoring team selects the correct insecticide to be used for spraying each year and monitors how the program is affecting the mosquito population and their ability to transmit malaria. This monitoring is critical in helping us make informed decisions on the appropriate measures to take in helping to reduce malaria prevalence. Peace Dellor explains the data management system at Kumbungu Data Center to the USAID Evaluate for Health Project’s Data Quality Assessment Team. PMI VectorLink: What changes have you seen in IRS implementation since the project began? Dellor: There have been some impressive changes in IRS implementation because the acceptance rate has increased, support from some communities is very high and the passion of workers on this project has also increased. PMI VectorLink: How has the incidence of malaria changed since you began working for this project? Dellor: There is a remarkable report by Ghana Health Service on how malaria has reduced at the number of out-patient cases, and my personal encounter with some community members tells me that there has been a significant reduction in reported malaria cases. PMI VectorLink: What do you wish people knew about the project? Dellor: PMI VectorLink is a project one has to embrace because it comes with personal hygiene in that community members use it as an opportunity to clean up their rooms. Aside from targeting mosquitoes, the chemical kills some other insects which are nuisance to the communities. This project aims at protecting our people. PMI VectorLink: What might someone be surprised to know about you? Dellor: I am very friendly despite the rigorous nature of my role. PMI VectorLink: What is your hope from the project? Dellor: My hope for the project is that in some years to come Ghana will be malaria free and in the unlikely event when PMI pulls out, the Ghana government will be able to take over. PMI VectorLink: What kind of impact have you seen from the project? Dellor: PMI VectorLink has not only reduced malaria cases but has also reduced the unemployment rate. It serves as a source of income for many who use money earned from the project to finance their education, purchase inputs for their farms, set up a business or learn a trade. 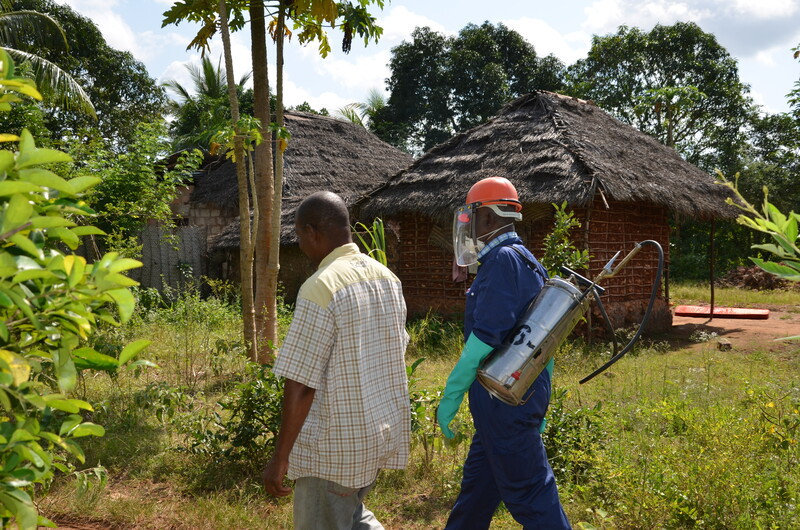 In the West African country of Benin, the U.S. President’s Malaria Initiative (PMI), working in partnership with the Government of Benin, has conducted large-scale indoor residual spraying (IRS) operations since 2008. The PMI VectorLink Project works in 23 countries across the continent to prevent the spread of malaria and implements IRS in 14 countries. IRS kills the mosquitoes that transmit malaria through spraying insecticide on the walls, ceilings and indoor surfaces where the mosquitoes rest. 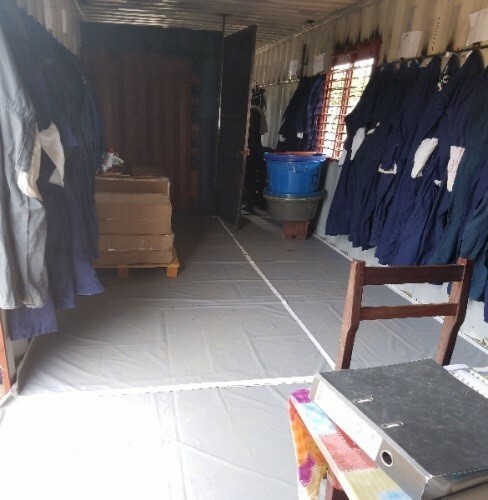 The Government of Benin contributes to the spray campaign by providing storage facilities in operational sites for the insecticide and supplies used for operations. Safe and easily accessible storage is essential to the success of the IRS campaign. In 2017, the Government of Benin shifted IRS operations from seven communes in Atacora Department to two other departments of northern Benin: Alibori and Donga. Alibori and Donga were designated as their own departments as recently as 2016. As a result, the departments still lack the necessary buildings needed for their contribution to the IRS operations. 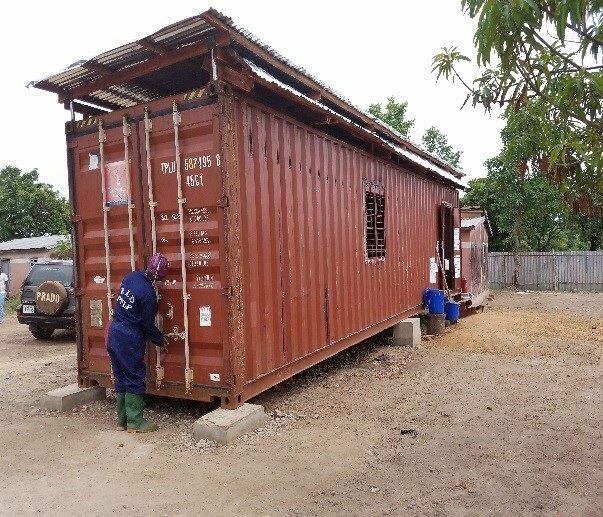 To address storage needs, the PMI VectorLink Project transformed six shipping containers into temporary stores (two at the operational site of Djougou1, one at the site of Barienou, one at Kassakou and two at the central store of Natitingou to increase its storage capacities. By transforming shipping containers into IRS stores, the PMI VectorLink Project is ensuring successful, more cost-effective and environmentally-sound campaigns. The new store maximizes space. The PMI VectorLink Project creatively designed the narrow, 40-foot steel shipping containers to ensure the best use of space. To manage extreme temperatures, the project equipped the store containers with a thermal regulation system consisting of a triplex roof (wooden boards) with openings for the circulation of ambient air and added windows and front doors. The store containers were placed on cement-concrete bases and the waterproofing of the pavements was guaranteed by a plastic sheeting to prevent any flow of liquid product that could contaminate the soil. Converting a container to a store costs around 2,240,000 CFA ($4,000), which is far more economical compared to the building a permanent structure/store with the same capacity, which can cost more than 10 million CFA or nearly $18,000. Thanks to this innovation, PMI VectorLink has been able to comply with best management practices for IRS in vector control and achieve its spraying coverage targets in the new intervention area during the 2018 IRS campaign. In addition to the cost-efficiency of using containers as stores rather than permanent structures, the project also has the ability to move the containers to different operational sites, further minimizing expenses in setting up operational sites. Finally, the project is reducing overall environmental impact as the containers are being repurposed rather than discarded.